Chase Insteadman is a handsome, inoffensive fixture on Manhattan's social scene, living off his earnings as a child star. Chase owes his current social status to an ongoing tragedy much covered in the tabloids: His teenage sweetheart and fiancée, Janice Trumbull, is trapped by a layer of low-orbit mines on the International Space Station, from which she sends him rapturous and heartbreaking love letters. Like Janice, Chase is adrift, and trapped in a vague routine punctuated only by Upper Eastside dinner parties and engagements. Into Chase's life enters Perkus Tooth, a wall-eyed free-range pop-critic, whose soaring conspiratorial riffs are fueled by high-grade marijuana, mammoth cheeseburgers and a desperate ache for meaning. Perkus' countercultural savvy and voracious paranoia draw Chase into another Manhattan, where questions of what is real, what is fake and who is complicit take on a life-shattering urgency. Together Chase and Perkus attempt to unearth the Truth - that rarest of artifacts on an island where everything can be bought. Beautiful and tawdry, tragic and forgiving, Lethem's new novel is as always, utterly unique. Track It. This book has been £3.69 within the past year. 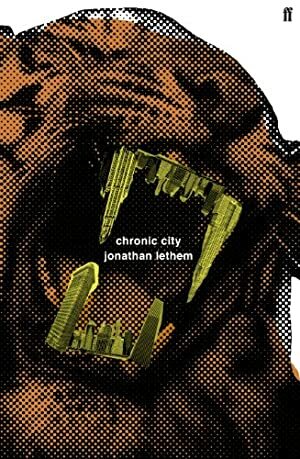 Log In to track Jonathan Lethem on eReaderIQ. to be notified each time the price drops on any book by Jonathan Lethem. to stop tracking Jonathan Lethem. We started tracking this book on December 25, 2011. This book was £4.32 when we started tracking it. The price of this book has changed 98 times in the past 2,678 days. The current price of this book is £4.68 last checked 4 hours ago. This lowest price this book has been offered at in the past year is £3.69. The lowest price to date was £2.69 last reached on December 13, 2016. This book has been £2.69 one time since we started tracking it. The highest price to date was £7.10 last reached on May 20, 2016. This book has been £7.10 one time since we started tracking it. We last verified the price of this book about 4 hours ago. At that time, the price was £4.68. This price is subject to change. The price displayed on the Amazon.co.uk website at the time of purchase is the price you will pay for this book. Please confirm the price before making any purchases.